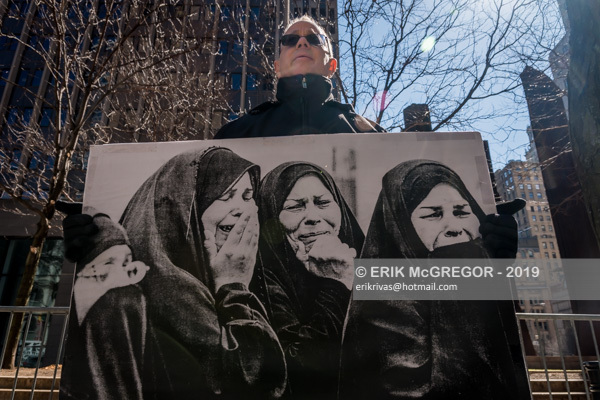 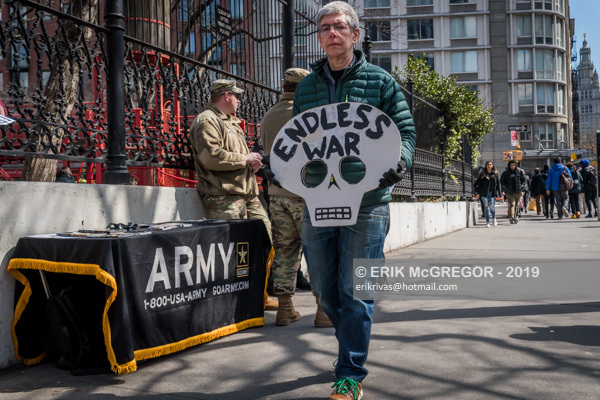 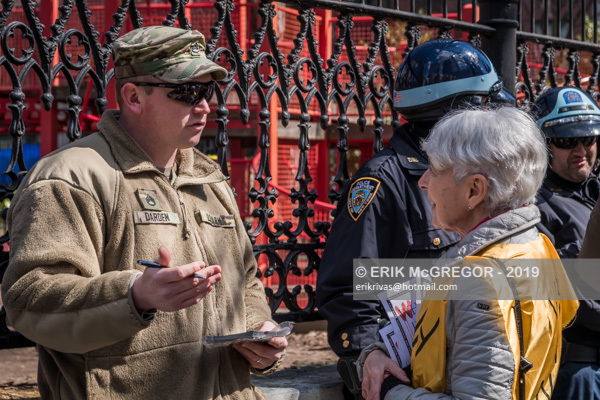 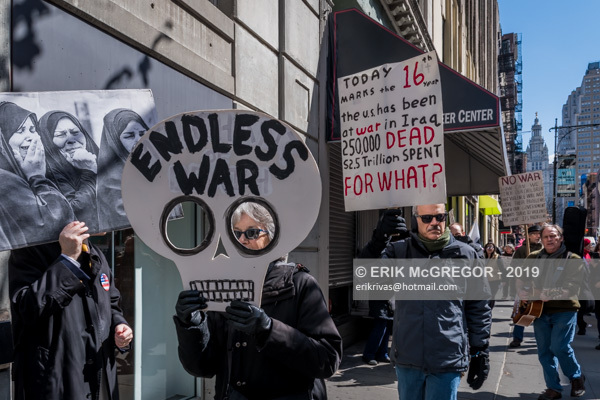 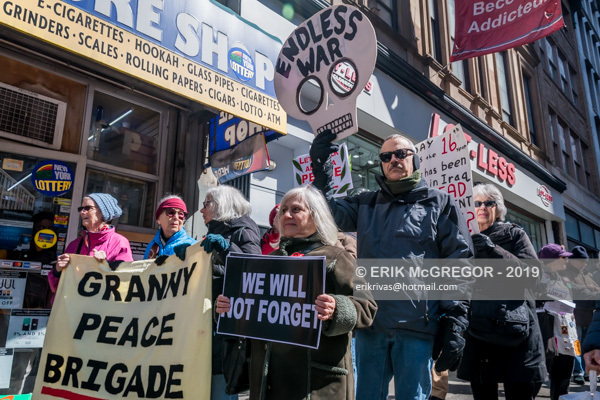 New York, NY – Anti-War activists gathered on March 19, 2019, the 16th anniversary of the invasion of Iraq, outside 26 Federal Plaza in lower Manhattan for a rally, followed by a march by several military recruiting offices along Chambers Street and to Borough of Manhattan Community College, to oppose the United States’ endless cycle of war and militarism. 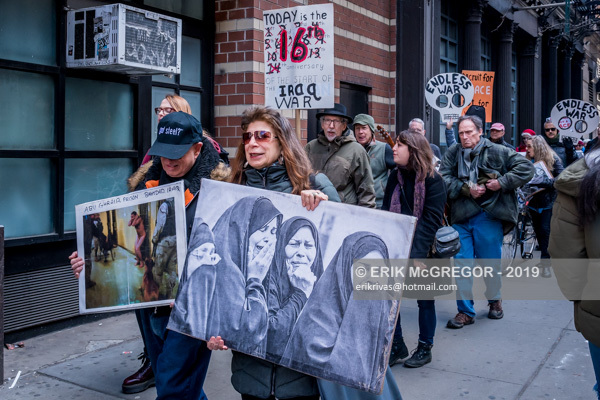 Tuesday, March 19 marks the 16th anniversary of the invasion of Iraq. 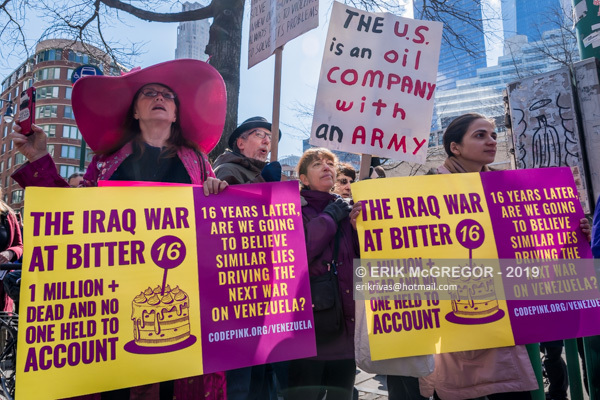 Despite a formal withdrawal of troops in 2011, this U.S.-led military operation was renewed in 2014 as Operation Inherent Resolve and continues in Iraq to this day. 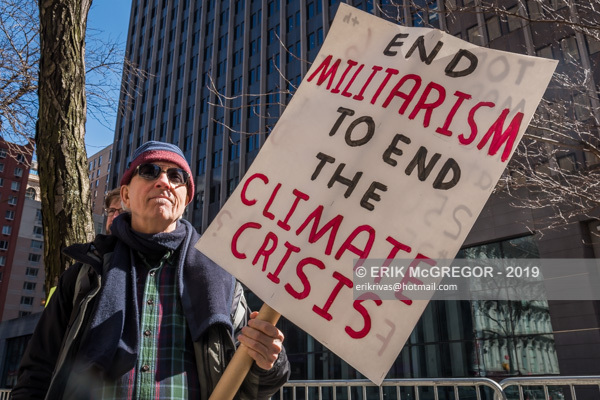 That money could have been used to fight poverty, protect our threatened environment, and educate our people. 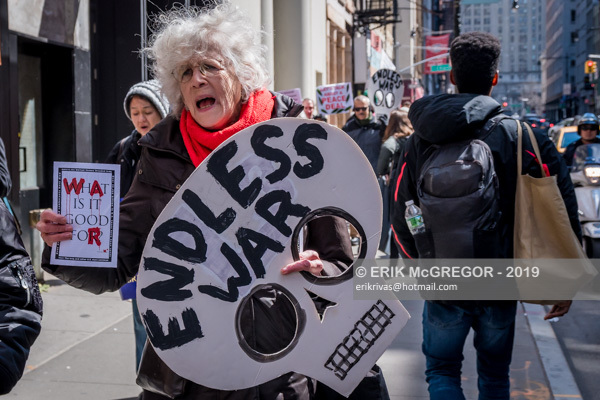 Instead, Washington has used it to destroy lives and enrich war profiteers including Amazon, L3 Communications, Raytheon, and General Dynamics. 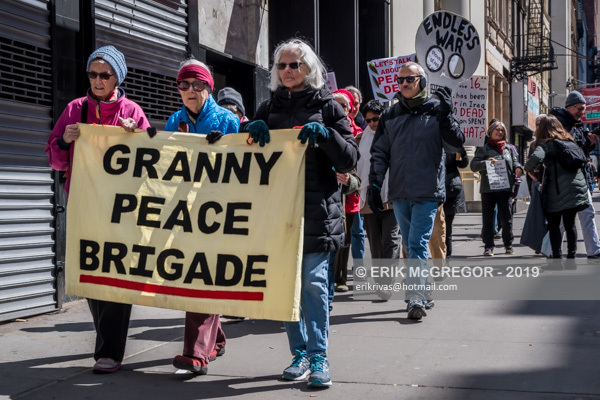 Build power and work together. 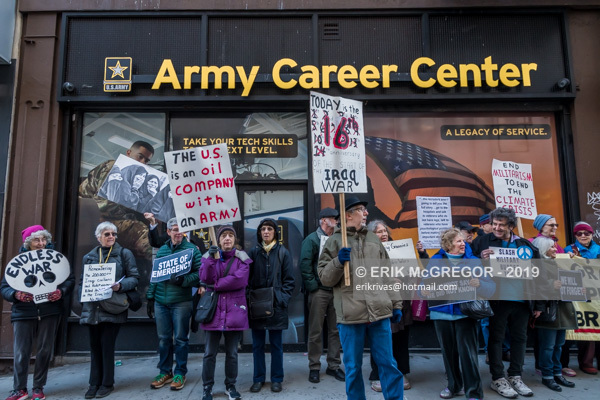 Participants met at 26 Federal Plaza, marching past several military recruiting offices along Chambers Street, to the Borough of Manhattan Community College (BMCC), where students, many of them economically disadvantaged, are regularly targeted by recruiters to join the armed forces. 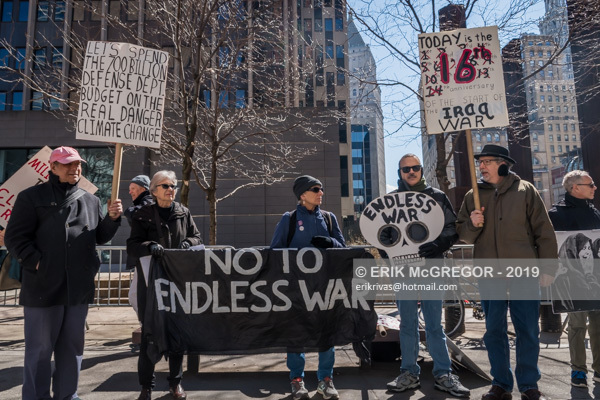 Participants offered information relating war and militarism to the environment and other struggles for social justice.